Joret C, Capeyrou R, Belhabich-Baumas K, Plisson-Chastang C, Ghandour R, Humbert O, Fribourg S, Leulliot N, Lebaron S, Henras AK, Henry Y.
Belhabich-Baumas K, Joret C, Jády BE, Plisson-Chastang C, Shayan R, Klopp C, Henras AK, Henry Y, Mougin A.
Montellese C, Montel-Lehry N, Henras AK, Kutay U, Gleizes PE, O'Donohue MF. Henras AK, Plisson-Chastang C, Humbert O, Romeo Y, Henry Y.
Robert-Paganin J, Halladjian M, Blaud M, Lebaron S, Delbos L, Chardon F, Capeyrou R, Humbert O, Henry Y, Henras AK, Réty S, Leulliot N..
Functional link between DEAH/RHA helicase Prp43 activation and ATP base binding. 2015 Jan Henras A, O’Donohue MF, Plisson-Chastang C, Chakraborty A, Gleizes PE (2014) An overview of pre-rRNA processing in eukaryotes. Wiley Interdiscip Rev RNA. doi: 10.1002/wrna.1269. 2014 Jan Delprato A, Al Kadri Y, Pérébaskine N, Monfoulet C, Henry Y, Henras AK, Fribourg S (2014) Crucial role of the Rcl1p-Bms1p interaction for yeast pre-ribosomal RNA processing. Nucleic Acids Res 42:10161-72. 2014 Jan Chen YL, Capeyrou R, Humbert O, Mouffok S, Al Kadri Y, Lebaron S, Henras AK, Henry Y (2014) The telomerase inhibitor Gno1p/PINX1 activates the helicase Prp43p during ribosome biogenesis. Nucleic Acids Res 42 :7330-45. 2012 Jan Bonnart C, Gérus M, Hoareau-Aveilla C, Kiss T, Caizergues-Ferrer M, Henry Y, Henras AK (2012) Mammalian HCA66 protein is required for both ribosome synthesis and centriole duplication. Nucleic Acids Res 40: 6270-89. 2012 Jan Lacoux C, Di Marino D, Boyl PP, Zalfa F, Yan B, Ciotti MT, Falconi M, Urlaub H, Achsel T, Mougin A, Caizergues-Ferrer M, Bagni C (2012) BC1-FMRP interaction is modulated by 2’-O-methylation: RNA-binding activity of the tudor domain and translational regulation at synapses. Nucleic Acids Res 40: 4086-96. 2012 Jan Hoareau-Aveilla C, Fayet-Lebaron E, Jady BE, Henras AK, Kiss T (2012) Utp23p is required for dissociation of snR30 small nucleolar RNP from preribosomal particles. Nucleic Acids Res 40: 3641-52. 2012 Jan Baumas K, Soudet J, Caizergues-Ferrer M, Faubladier M, Henry Y, Mougin A (2012) Human RIOK3 is a novel component of cytoplasmic pre-40S pre-ribosomal particles. RNA Biol 9: 162-174. 2011 Jan García-Gómez JJ, Lebaron S, Froment C, Monsarrat B, Henry Y, de la Cruz J (2011) Dynamics of the putative RNA helicase Spb4 during ribosome assembly in Saccharomyces cerevisiae. Mol Cell Biol 31: 4156-64. 2011 Jan García-Gómez JJ, Babiano R, Lebaron S, Froment C, Monsarrat B, Henry Y, de la Cruz J (2011) Nop6, a component of 90S pre-ribosomal particles, is required for 40S ribosomal subunit biogenesis in Saccharomyces cerevisiae. RNA Biol 8: 112-24. 2011 Jan Gérus M, Caizergues-Ferrer M, Henry Y, Henras AK (2011) Crosstalk between ribosome synthesis and cell cycle progression and its potential implications in human diseases. Protein Reviews 15 “The nucleolus”: 157-84 (Springer). 2011 Jan Henras AK (2011) Solution structure of yeast Nhp2p and potential implications for the assembly of eukaryotic H/ACA RNPs. J Mol Biol 411: 925-6. 2011 Jan Henry Y (2011) Induced pluripotent stem cells to the rescue of research on Dyskeratosis congenita. Med Sci 27: 717. 2010 Jan Walbott H, Mouffok S, Capeyrou R, Lebaron S, Humbert O, van Tillbeurgh H, Henry Y, Leulliot N (2010) Prp43p contains a processive helicase structural architecture with a specific regulatory domain. EMBO J 29: 2194-204. 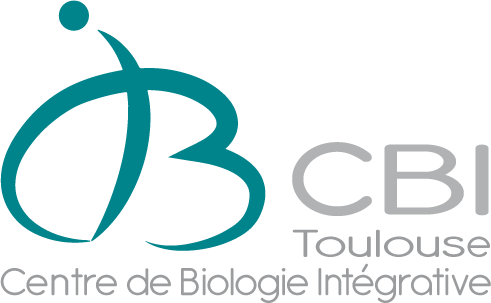 2010 Jan Soudet J, Gélugne JP, Belhabich-Baumas K, Caizergues-Ferrer M, Mougin A (2010) Immature small ribosomal subunits can engage in translation initiation in Saccharomyces cerevisiae. EMBO J 29: 80-92. 2010 Jan Gérus M, Bonnart C, Caizergues-Ferrer M, Henry Y, Henras AK (2010) Evolutionary conserved function of RRP36 in early cleavages of the pre-rRNA and production of the 40S ribosomal subunit. Mol Cell Biol 30: 1130-44.